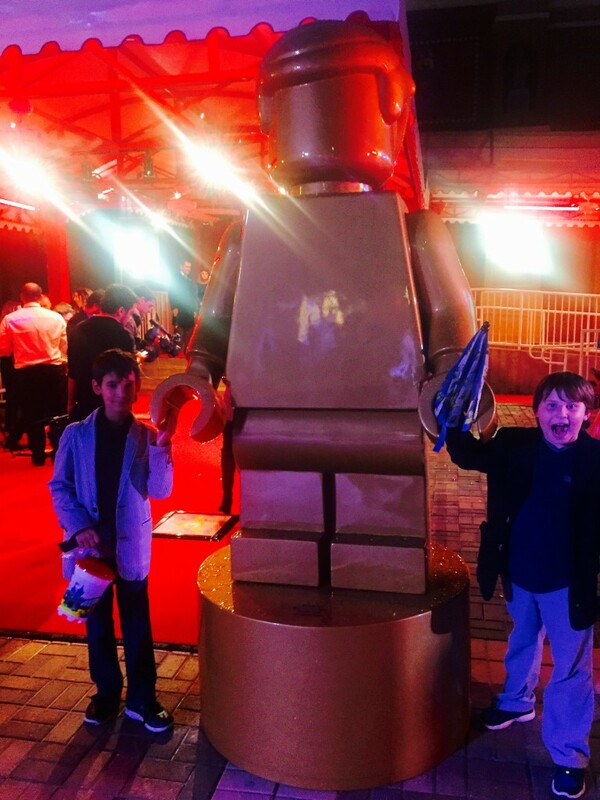 LEGOLAND World Premiere of Lego Movie 4D- A New Adventure! 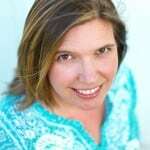 This is a guest post from my friend Jen Reyneri, who was able to attend the World Premiere event on my behalf. January 28, 2016 is a date in the history books as being truly AWESOME. 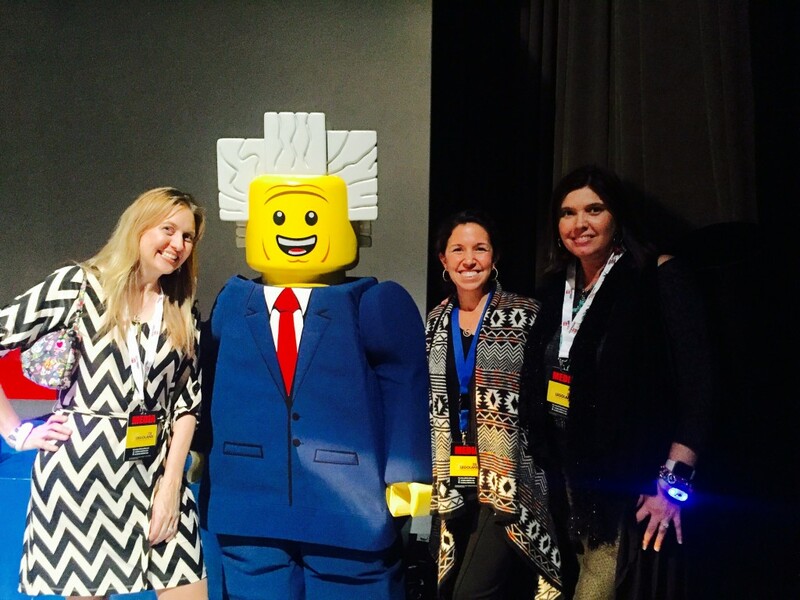 In fact, everything was awesome for the world premiere event at LEGOLAND, Florida, showcasing the all new “Lego Movie 4D- A New Adventure“! 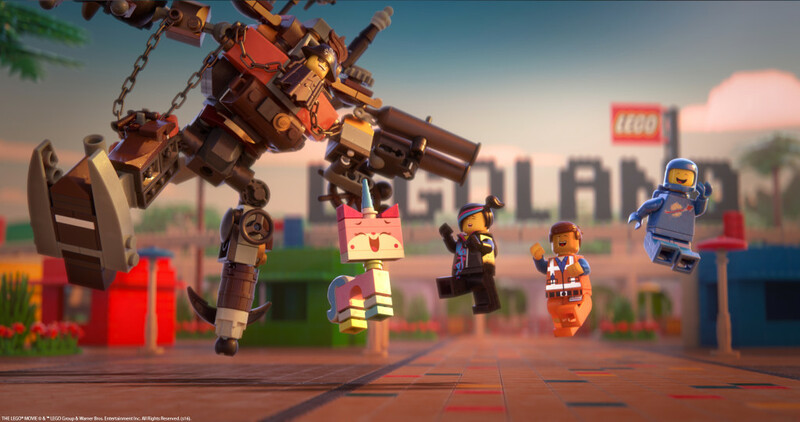 In celebration of the LEGO company’s 58th birthday, the all new 12-minute 3D movie short featuring “4D” effects is a super treat through a windy, wet and wild adventure for all LEGO Movie fans! Get ready to help all your favorite LEGO Movie characters save the day right from the edge of your seat! 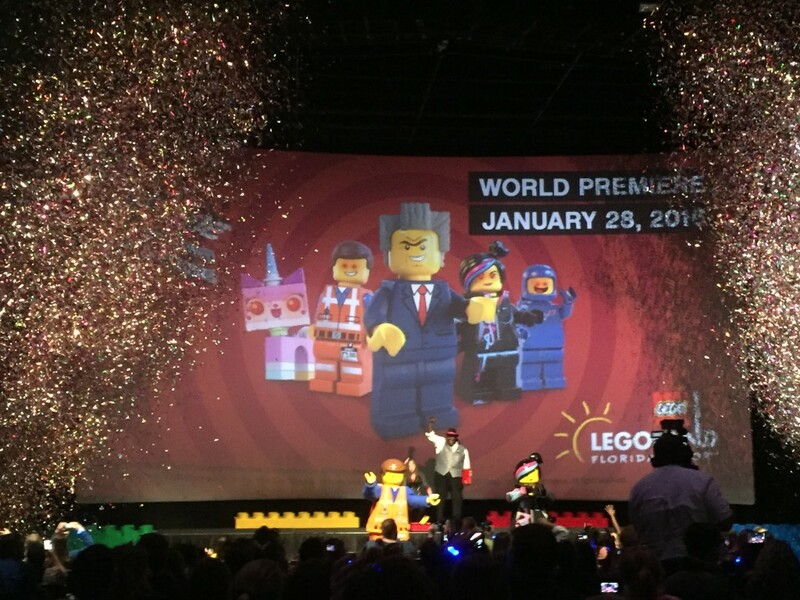 You can only experience this new movie at LEGOLAND, Florida! Keep reading to find out more and about the special event weekends all month long in February! THE LEGO® MOVIE © & TM LEGO Group & Warner Bros. Entertainment Inc. All Rights Reserved. (s16). 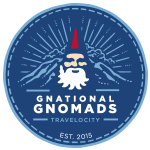 LEGO, the LEGO logo, the Minifigure, the Brick and Knob configuration and LEGOLAND are trademarks of The LEGO Group. © 2016 The LEGO Group. Used with permission. All rights reserved. 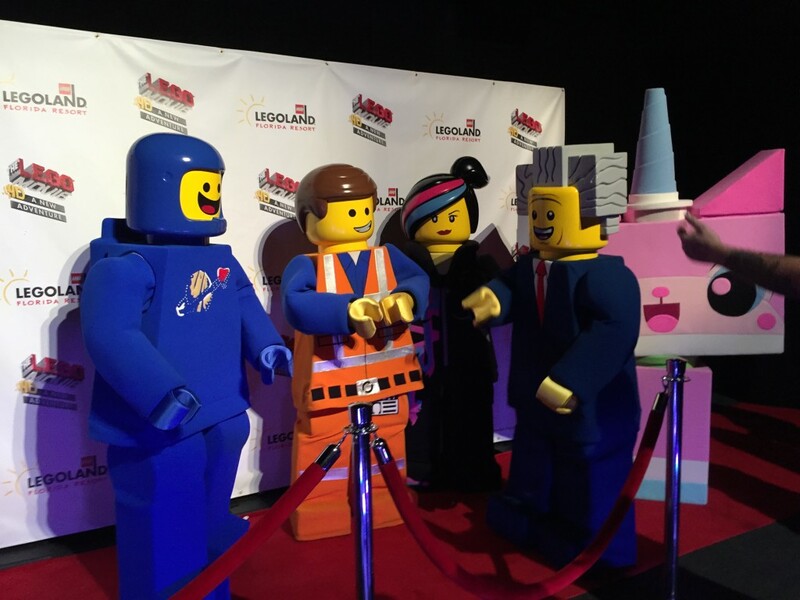 In Red Carpet Style, the New Lego Movie 4D Premier Party proved that Everything is Awesome! 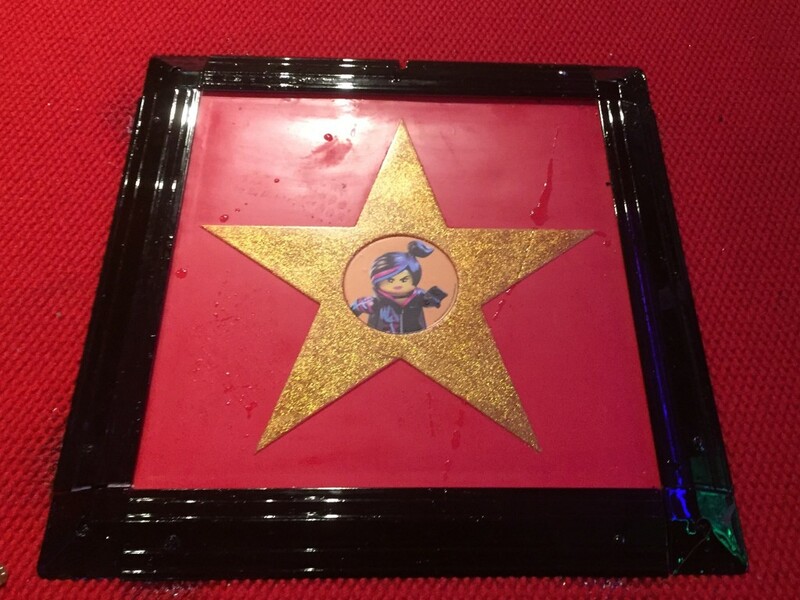 The Media and Accompanying Children Alike were all treated like stars, as we walked the interactive red carpet with lights and sounds featuring all our favorite LEGO MOVIE characters. The notorious Florida rains couldn’t keep us away from such an awesome event! We were invited to answer the question, #WhoIsRiskyBusiness… the evil brother of Lord Business, of course! The Star of the new LEGO Movie 4D: A New Adventure, Risky Business, will hypnotize you with fun! Here I am with fellow Trekaroo writers and friends, Calley and Marissa. 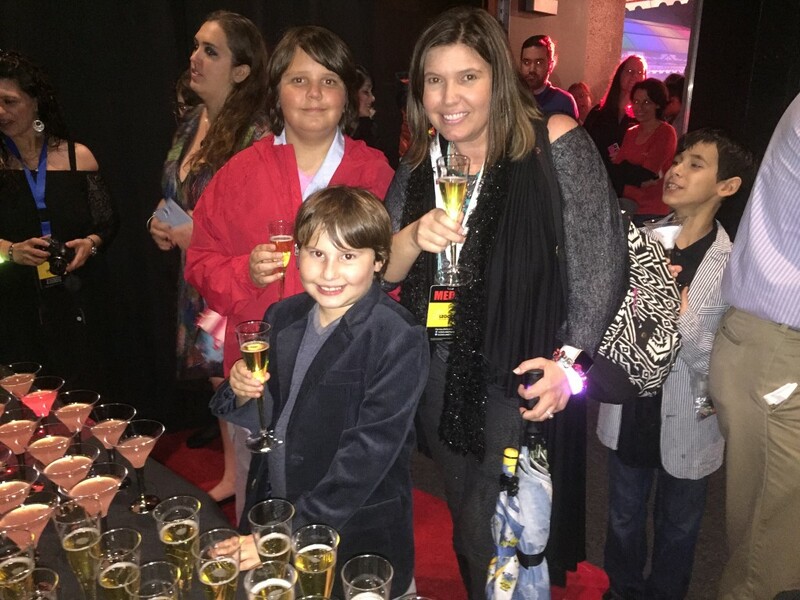 The VIP party was complete with Kiddie Cocktails in fancy cups, an amazing dessert bar, and of course, POPCORN! That’s sparkling apple cider and raspberry lemonade- and a priceless opportunity to dress up and take my boys on a “date” even in the rain! I mean, isn’t that sport coat on Luke the cutest thing ever? Can you see my earrings made with LEGO bricks? I LOVED having a reason to wear them outside of coaching FIRST LEGO League Robotics! Meeting the awesome and gracious Eh Bee family at breakfast, Bricks Family Restaurant. 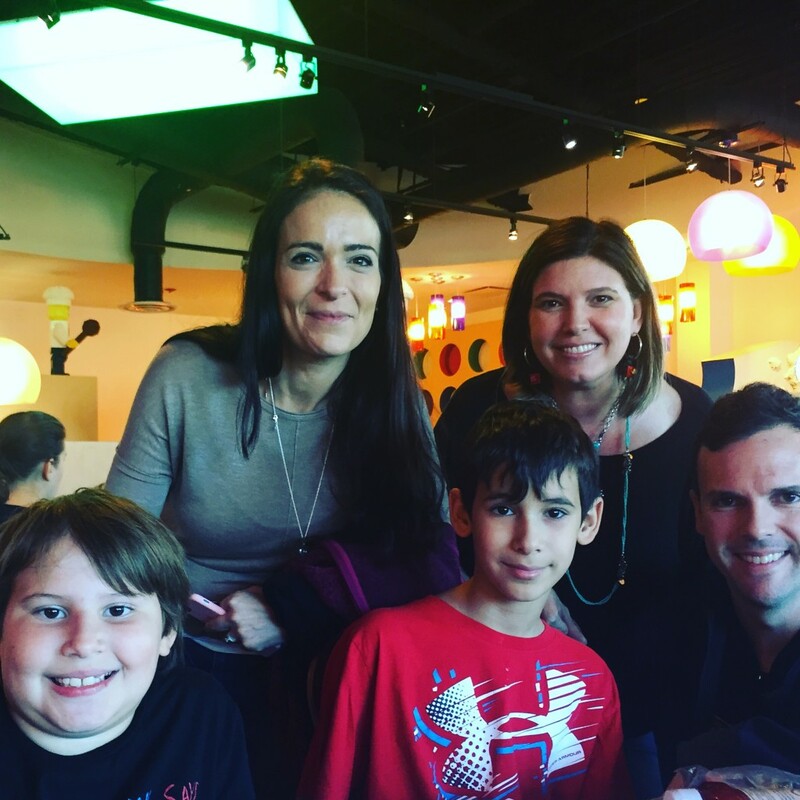 The scene was filled with Hollywood kid stars like the YouTube sensations the Eh Bee Family (above, who we had the privilege to meet the next morning at breakfast) and character meet and greets, a perfect ending to the new LEGO Movie 4D: A New Adventure. The boys danced in confetti with Benny, one of our favorites! Here’s a scene from the new film, which I guarantee will have you jumping for joy, too! A NEW ADVENTURE FOR EMMET AND FRIENDS – A mysterious invitation reunites the heroes of “The LEGO® MovieTM” in “The LEGO® MovieTM 4D A New Adventure,” a theatrical attraction developed exclusively for LEGOLAND® theme parks and LEGOLAND® Discovery Centers. The attraction combines dazzling, 3D computer animation, “4D” theater effects such as wind, water and fog, and the same sly humor that made the movie a worldwide blockbuster. THE LEGO® MOVIE © & TM LEGO Group & Warner Bros. Entertainment Inc. All Rights Reserved. (s16). 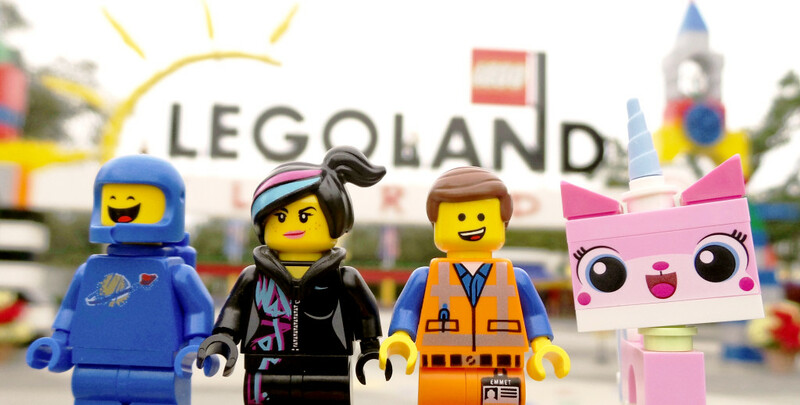 LEGO, the LEGO logo, the Minifigure, the Brick and Knob configuration and LEGOLAND are trademarks of The LEGO Group. © 2016 The LEGO Group. Used with permission. All rights reserved. THE LEGO® MOVIE 4D WEEKENDS – Every Saturday and Sunday in February, “The LEGO® MovieTM 4D” Weekends invite fans to celebrate the new adventure of Emmet and his friends during an all-new event held exclusively at LEGOLAND Florida Resort. Guests will enjoy extended park hours, LEGO building opportunities, hands-on activities built just for kids, a passport adventure with stops throughout the park and meet-and-greet opportunities with the characters from “The LEGO® MovieTM 4D A New Adventure,” including some never seen before in a LEGOLAND theme park. To conclude the fun, each evening will end with an amazing fireworks display over picturesque Lake Eloise. 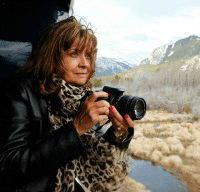 All activities and entertainment are included with park admission. THE LEGO® MOVIE © & TM LEGO Group & Warner Bros. Entertainment Inc. All Rights Reserved. (s16). LEGO, the LEGO logo, the Minifigure, the Brick and Knob configuration and LEGOLAND are trademarks of The LEGO Group. © 2016 The LEGO Group. Used with permission. All rights reserved. Click HERE for more information or to book your stay at the LEGOLAND Florida resort (highly recommended- there’s no better lodging anywhere for a memorable family experience!) Truly, the entire experience is #BuiltforKids and #AwesomeAwaits! 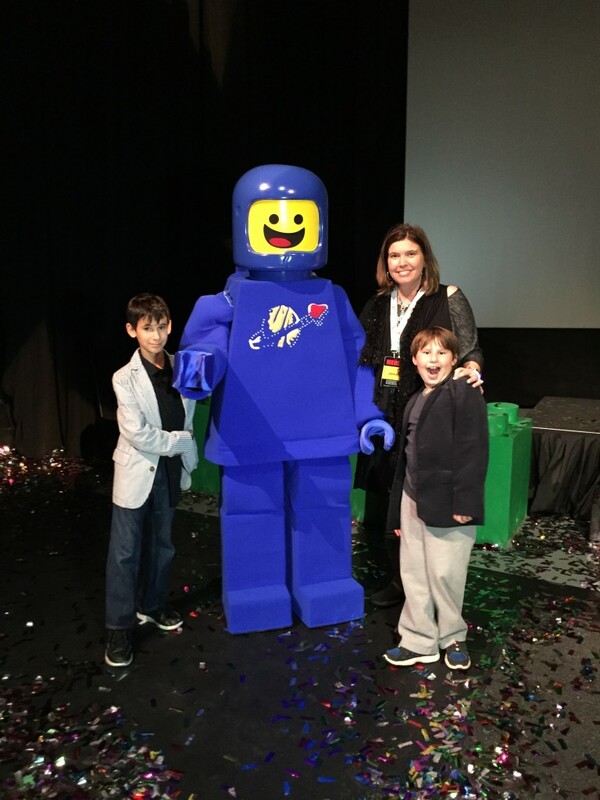 Disclaimer: My boys and I were invited as guests on behalf of the awesome Kelly Stilwell and LEGOLAND Florida resort to attend the event, but all opinions are my own.